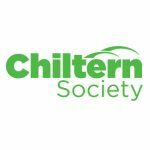 The Chiltern Society is a large environmental charity actively helping to ‘Care for the Chilterns.’ We have 7,000 members and 500 volunteers. We manage 12 Conservation and Heritage sites across the Chilterns, maintain footpaths & Rights of Way, monitor and respond to planning applications, campaign for sustainable development, organise walks and cycle rides, and have special interest groups for Heritage, Rivers & Wetlands, and Photography. There are regular conservation and footpath work parties, as well as regular special interest group meetings, guided walks, and cycle rides.